2019 season kicks off this weekend at Rawson for Round 1 against Knox. Games start at 9:50am. 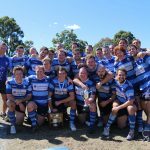 Mosman Rugby Club, also known as the Whales, have a proud history dating back to 1893, which makes us one of the oldest rugby union clubs in Australia. Currently we compete in Division 1 of the NSW Suburban Rugby competition, in which Mosman Rugby fields six senior teams and an under 21’s (colts) team. The club is always looking for anyone that wants to play rugby at any level, support a local team or just be part of this great Club. The Whales have a long history forged on mate-ship and camaraderie with new players always welcomed, come down and make new friends at one of the most social clubs in "Subbies". 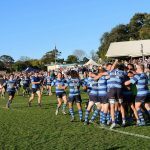 Mosman Rugby is located on Sydney’s lower north shore, only 15 minutes from the city and 15 minutes from Manly. We play our home games at Rawson Park, and train at Balmoral Oval on Tuesday and Thursday nights during the season (pre season starts late January and runs through to September, from 6.30pm for a 7pm start). 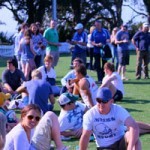 Mosman Rugby photos are posted on Facebook for you to comment and tag. Make sure you ‘Like’ the Mosman Whales on Facebook to follow all the action and stay updated with our social events. You can also access an video archive of Mosman Rugby games on the Whales YouTube Channel. Finals footy kicks off this Saturday with Mosman Rugby competing in 1s, 4s, 5s and Colts. All games are taking place at UNSW home ground – David Phillips Field, Gwea Ave, Daceyville. 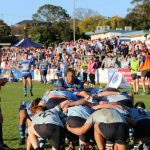 Kick off times are as follows: 3.15pm 1st Grade vs Colleagues 12.20pm Colts vs Drummoyne 10.00am 4th grade vs Knox 9.00am 5th grade vs Colleagues Good luck to all teams and go the Whales!